Google indexed and pageranked the Internet. Then Google bought the obscure program "Keyhole 2 Lt" and branded it "GoogleEarth". Next Google hired Plone developer Alexander Limi. And finally they hired Python's creator Guido von Rossum. Of course other significant things happened too like ESRI making Python an official scripting language for their flaghship product, but Google caused the explosion of interest in geographic information technology and Python. 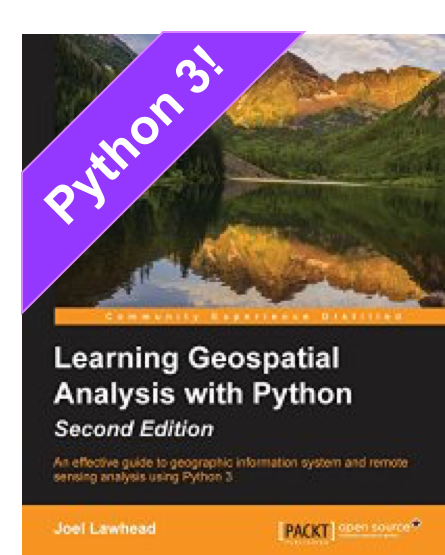 Despite this explosion if you are interested in the combination of Python and GIS/Remote Sensing there is surprisingly little discussion on this topic given the independent popularity of these two technologies. One reason is the the combination of Python and GIS is still new and niche despite Python's success and the growth of GIS. 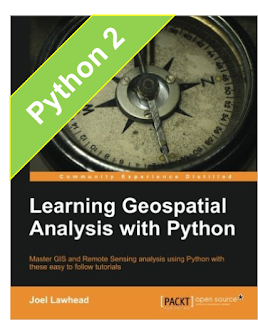 Another reason is the few people out there deeply interested in the advancement of Python as a GIS technology are too busy writing the few pieces of software out there to spend a lot of time blogging and making presentations at mainstream conferences. This fact struck me at the 2006 ESRI User Conference in San Diego. There was a lot of buzz and curiosity about ESRI adopting Python in ArcGIS. At the conference bookstore I eavesdropped on a lady complaining to the cashier that there were no books on using Python in ArcGIS. There were hundreds of ESRI Press books, case studies, and well-known GIS textbooks but the only Python related material was a handful of O'Reilly Python books. The number of professionally published books about a technology are a good indicator of mainstream interest. And to my disappointment geospatial python hasn't even reached the bar needed to publish O'Reilly's "Perl for Bioinformatics" series. Tyler Mitchell's excellent "Web Mapping Illustrated" came close but I want to see Python in the title. But you'd think there'd be more GP blogs out there given the dead-simple medium of blogging. This blog intends to tip that scale of general disinterest ever so slightly. Python provides the lightweight fits-your-brain agility needed to keep up with the booming geographic technology industry while GIS provides an endless realm of killer applications waiting to be developed. If you're starving for geospatial python information diet this post provides the available rations out there for a steady diet. One of the most prolific GP writers and developers out there is Sean Gilles who posts frequently to his blog "import cartography". Sean has been a leader in the open source GIS arena and happens to have an interest in Python. His contributions to GP are too numerous to list but include Python Mapscript, Cartographic Objects for Zope, the Python Cartographic Library, PrimaGIS, Shapely, Pleiades, and more all linked at gispython.org. Howard Butler with his consulting blog hobu.biz is another must-have RSS feed. Hobu has been blogging about Python and GIS topics since the turn of the century on his original blog "Fanning Mill". In addition to his many open source GIS contributions Howard's GP contributions are also industry staples including Python bindings for software and libraries including ArcView 3.x, GDAL, shapelib, Proj4, and ArcSDE to name a few. It is rumored Howard's Python bindings to the old ArcView 3.x dlls which were published in ESRI's ArcUser magazine are one of the factors that led to the use of Python in ArcGIS. Chris Tweedie publishes a steady stream of open source GIS topics on his blog "Chris GISmo's". Many of his posts are Python related but all of them are worth reading. The fourth geospatial python news source is simply gis+python on del.icio.us as an rss feed. It will turn up a lot of links to interesting software and posts you wouldn't find otherwise. Yes, Howard was one of the pioneers. Python bindings for GDAL are an early breakthrough that you didn't mention. I don't think Google or ESRI have had much of an influence, honestly. Python doesn't seem to do much except replace Avenue in the ESRI user community.